The Islamic Republic of Iran will on Monday celebrate the 40th anniversary of the revolution that brought it into being. It is unlikely that the rest of the world will celebrate in quite the same way. But, like it or not, the events of 1979 represent what the French scholar of Iran, Bernard Hourcade, in a recent commentary for the online magazine Orient XXI, correctly called a “profound rupture” for Iran, the Islamic world and the international community as a whole. It is actually hard to pin down the exact date of any popular revolution. Each one tends to gain momentum when enough people come out into the streets for long enough to give them a collective sense of belief in the justice and victory of their cause. But that’s only one scene in a multi-act drama. You could say the key moments in Iran included: The shah’s ill-judged decision in January 1978 to authorize the publication of a letter directly attacking Ruhollah Khomeini; the fire at the Cinema Rex in Abadan in August the same year, which was attributed to SAVAK at the time by those who had really started it, the radical supporters of Khomeini; the refusal of soldiers to fire on the first real mass demonstration in Tehran on Sept. 4, Eid Al-Fitr, or the moment others did so to murderous effect four days later; the earthquake in Tabas; the expulsion of Khomeini from Iraq in early October; the Ashura demonstrations that December; and the departure of the shah in mid-January 1979 and, two weeks later, the return of Khomeini — the event that Tehran has (of course) decided to mark above all. Equally you could quite reasonably argue — as both Roy Mottahedeh in his great book, “The Mantle of the Prophet,” and Hamid Dabashi in his rather less urbane “Theology of Discontent” have done — that the revolution had its origins in the ideologies of subaltern resistance, sometimes owing as much to Marx or Fanon as to Islam. These emerged in Iran, as they did elsewhere in the Islamic world, from the late 19th century onwards and accelerated toward confrontation as the modern Middle Eastern state system became more militarized, authoritarian and oppressive. No revolution succeeds without an ideology. Equally, no revolution succeeds without luck. Would the October Revolution in Russia have happened the way it did if Vladimir Lenin, newly returned from Switzerland, had been detained at a checkpoint earlier that year instead of being waved through in disguise by careless police? Would Khomeini have been able to establish his theocracy if the shah had not had leukemia, or had the powerful leftist and secular forces in the country not been forced into alignment with the Islamists by the outbreak of hostilities with Iraq — reminiscent of the Austro-Prussian attack on revolutionary France in 1792 — and the US hostage crisis? And this suggests another important point. It was not inevitable that Khomeini would win. The Iranian communist party was powerful and had deep wells of support among the industrial classes, whom the shah had paradoxically helped create. The Constitutional Revolution of 1905-11 had left a powerful legacy of resistance to clerical claims to rule, something that had helped Mohammad Mosaddegh in the early 1950s. And the army was a potential alternative center of power. But Khomeini, like Lenin, played the game more effectively and cleverly than anyone else — and with far more clarity of purpose, including a steely willingness to suppress and kill his opponents that they themselves lacked. Khomeini allowed a constitution to be written for the new republic. But the Islamic Republic is not a constitutional state, as Khomeini’s own seizure of power and the machinations surrounding the emergence of Ali Khamenei as his successor both showed. It is not law that rules in Iran but the decisions taken in private by groups of men (and it is always men) appointed by the supreme leader and his acolytes to the Guardian Council or the Assembly of Experts; and now increasingly by the religiously indoctrinated leadership of the Islamic Revolutionary Guard Corps, one of the key sources of support for the Islamic Republic and its continuing revolution and now perhaps the most powerful single force inside the country. The logic of Wilayat Al-Faqih always removed ultimate accountability from the debating floor of a parliament to the hidden realm of metaphysics. And now those who have most enthusiastically supported this doctrine and sought, with some success, to export it to Iran’s neighbors claim the right to influence its exercise. While Islamists can capture a state, they are incompetent, corrupt, harsh and oppressive when they try to manage one. This does not seem to have made Iranians as a whole committed theocrats. Hard data for this is not easy to collect, though some scholars have done impressive work. But the evidence of recurrent popular unrest across the country, the continuing savage repression by the authorities of dissent, evidence of patchy religious observance and reports of widespread anti-clerical sentiment all suggest that Iran has preserved a varied and dynamic political culture and that many – if not most – Iranians would prefer not to be ruled by obscurantist and self-serving mullahs and their praetorian security forces, if only they had a choice in the matter. An intriguing sidelight is cast by events in Iraq, where recent demonstrations against misgovernment in the southern governorates in particular have taken on a strong anti-Iranian character. Even figures such as Qais Al-Khazali, of Asa’ib Ahl Al-Haq, have started to claim to look to Najaf not Qom for guidance and to want an Iraqi not an Iranian model of religious legitimacy. That is probably opportunist, but it perhaps shows the risks associated with adhering too closely to Khatt Al-Imam, the distinguishing feature of all Hezbollahis. This doesn’t mean the Islamic Republic is going to disappear any time soon. It has significant support from those who have benefited from its patronage — a huge state-funded clerical class, the security forces (including the Basij), devout conservatives and well-connected business people. And it is unlikely that Iranians want another violent revolution: Hardly anyone ever does. But it does mean that the regime has almost certainly failed to persuade a majority of Iranians that rule by Shiite clerics produces anything remotely resembling the rule of the just. That is a failure not just for them but for all Islamists everywhere. The Iranian Revolution was the first and, in many ways, still the most startling success for political Islamism, which in both its Shiite and Sunni forms makes similar claims to singular legitimacy and authenticity. 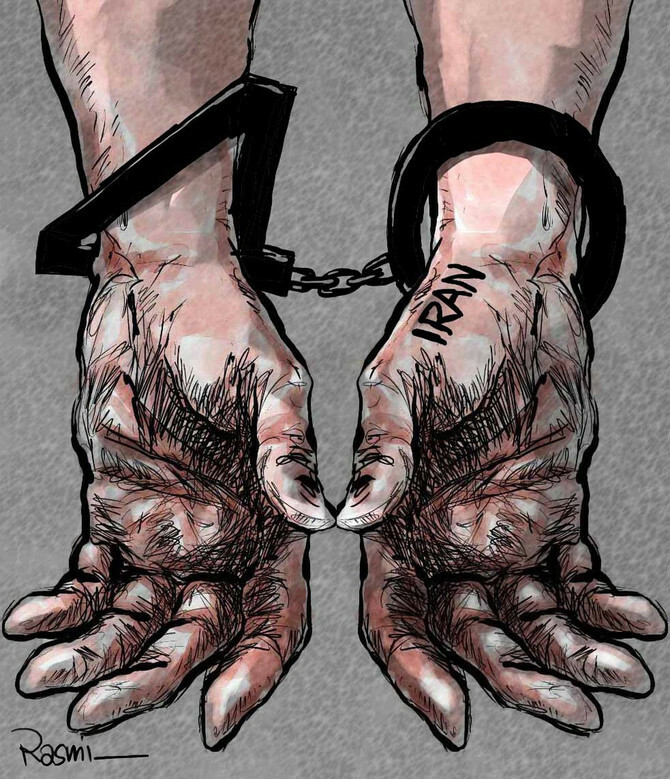 The experience of the last 40 years in Iran has shown that, while Islamists — with a large helping of luck — can capture a state, they are incompetent, corrupt, harsh and oppressive when they try to manage one. That is a lesson the brutal failure of Daesh also illustrates. But Iran, precisely because it is a complex and sophisticated state rather than a ramshackle and besieged imaginary caliphate, is the more potent case. The rule of Daesh can certainly be destroyed by military force, but its ideology cannot. In the case of Iran, the only military option is containment. And we need our own hard-headed clarity, patience and resolve to deal with the ideological challenge. A recent article in Foreign Affairs magazine on INSTEX, the new EU Special Purpose Vehicle to protect trade from US sanctions, quotes (with apparent approval) a senior but unnamed Iranian official accusing the EU of double standards because — he alleged — it holds Iran to tougher standards of compliance than the US. But that’s exactly what you’d expect given that most EU member states have also been formal allies of the US for 70 years and have 40 years’ experience of Iranian subterfuge, subversion and hostility — most recently including an alleged resumption of assassination attempts inside Europe. That’s not double standards (the wail of serial offenders everywhere), it’s realism. We need to keep hold of that. And, in many ways, the best outcome would be for the Islamic Republic to change — gradually or dramatically — under the strain of its own internal contradictions. This would do more to discredit the ideology behind it than a million essays by agonized critics like Abdolkarim Soroush or a manufactured external crisis. And that can only be a matter for Iranians. When they want our support, we should give it — something we have failed to do in recent years as we pursued the illusion of normality. But they themselves have to find the better way to join the rest of the world many of them mistakenly thought they had found in 1979. I just hope it doesn’t take another 40 years for them to do so. Sir John Jenkins is an Associate at Policy Exchange. Until December 2017, he was Corresponding Director (Middle East) at the International Institute for Strategic Studies (IISS), based in Manama, Bahrain, and was a Senior Fellow at Yale University’s Jackson Institute for Global Affairs. He was the British ambassador to Saudi Arabia until January 2015.